U.S. Sen. Cory Gardner put it nicely when he called for civility among Democrats, and was gentlemanly enough not to name names when he did so — like Hillary Clinton and Eric Holder, former attorney general in the Obama administration. 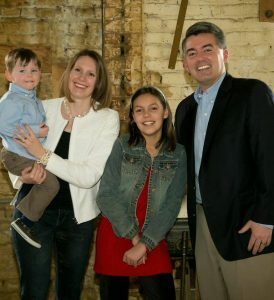 Gardner’s plea comes on the heels of a terrifying text sent to his wife with a video of a beheading, and other threats made against Republicans and their families. The FBI and Capitol Hill Police are now investigating that text, and one arrest has already been made of a Democratic staffer who leaked the home addresses of Republican Senators, and threatened to release more personal information on their children. “It’s got to stop,” he added. But Democrats have gone beyond being uncivil, they’ve become unhinged and downright dangerous. And cheering them on are party leaders like Clinton, who says to Hell with civility, they’ll play nice again when they have total control over the country. “You cannot be civil with a political party that wants to destroy what you stand for,” Clinton says in this CNN interview. There’s nothing fake about Gardner’s outrage. Who wouldn’t be outraged if their spouse was sent a beheading video by some liberal sicko because of a political disagreement? Quite frankly, it’s handling it a lot better than we would. It’s an ugly political environment Democrats have created — an alternative universe to the world peace vision they once preached — it’s turning violent and it needs to stop. Not after Democrats take over our world and implement their vile actions into actual policies, but now. « CONFESSION TIME: How Crow Differs from Coffman? Crow Likes Taxes.